Financial Literacy Australia’s Grants Program recognised ICAN’s extensive experience in delivering Indigenous financial literacy programs by awarding the Yarnin’ Money Project $274,000 over a three-year period. 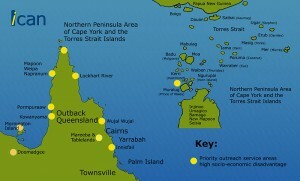 Yarnin’ Money was 1 of 19 successful projects to be funded in the inaugural grants round. The Financial Literacy Australia grants program received over 245 concept proposals from a great range of non-government organisations interested in financial literacy. 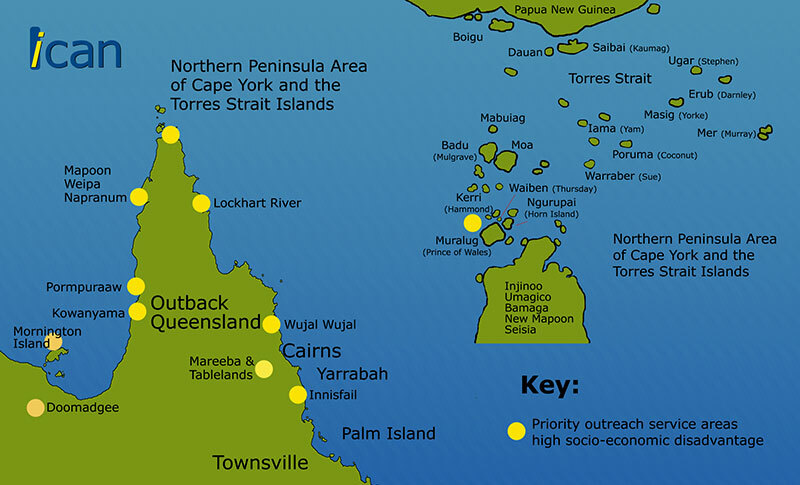 The Yarnin’ Money Financial Literacy program is designed for service providers and residents in remote Indigenous communities (see map). 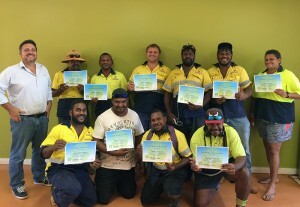 The three-phase financial literacy training program delivers two financial literacy training tools, Yarnin’ Money (Service Provider) and Yarnin’ Money (With the Mob). Both training programs will eventually be expanded into online professional development (train the trainer) programs for financial counselling/capability workers and community services providers nationally. Generate thoughts and yarns surrounding Indigenous people and money in today’s society – (“If we start Yarnin’ about this thing Budget/Money and we understand this component in our lives, we can try and be boss of it as best we can. Yarnin’ about Money is the start of where we are today, to where our young people and generations to come, going to be in relation to how we perceive Money” -Eddie Buli, Yarnin’ Money developer and trainer). Create online professional development opportunities for financial counselling /capability workers and community services providers nationally. Online financial literacy training to be offered to those who have completed the Yarnin’ money Train the Trainer session which includes service providers who are Aboriginal and/or Torres Strait Islander, financial counsellors and financial capability workers nationally. The online approach will include webinar and live online delivery of aspects of the Yarnin’ Money Program to ensure that the delivery mode is consistent; to provide support to transfer narrative approach skills to financial counsellors and financial capability workers.